Museveni: Ever heard that I’m in hospital lying with legs up? 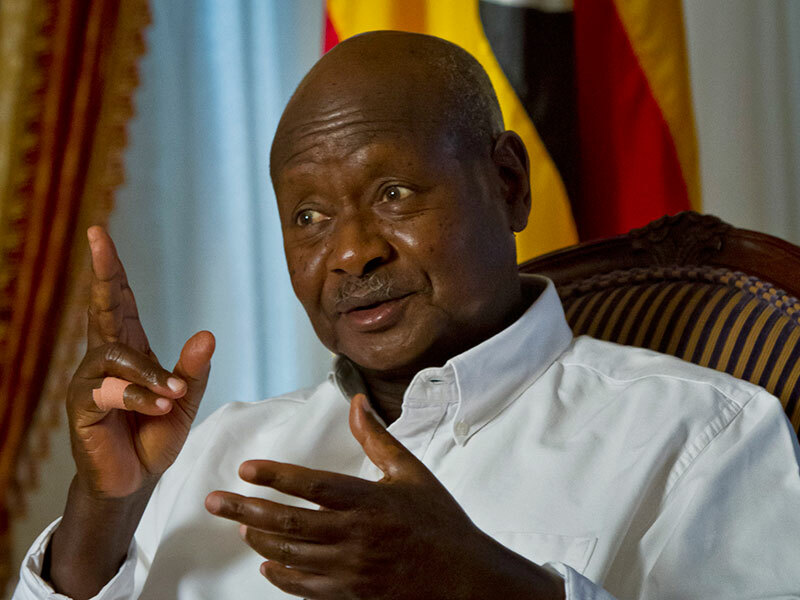 BUDAKA–General Yoweri Museveni and illness are certainly not bedfellows that is what President Museveni thinks of himself. He has not been sick ever since he took over power in 1986 the president said, attributing the spick-and-span health to his emphasis on prevention rather than living a reckless life with option to treatment. “Who of you has ever heard in the last 31 years that Museveni is in hospital lying with legs up? Where do I find time to go to hospital? The truth is I focus on avoiding diseases rather than waiting to treat them,” Museveni, who was at the weekend officiating at the launch of the Lugwere Bible at Ssaza grounds in Budaka District, said. Museveni’s sickness remarks came amid knowledge that districts are increasingly requesting government to elevate their health centres IV facilities into hospital status so as to be able to address the growing number of patients flocking in for medical attention. 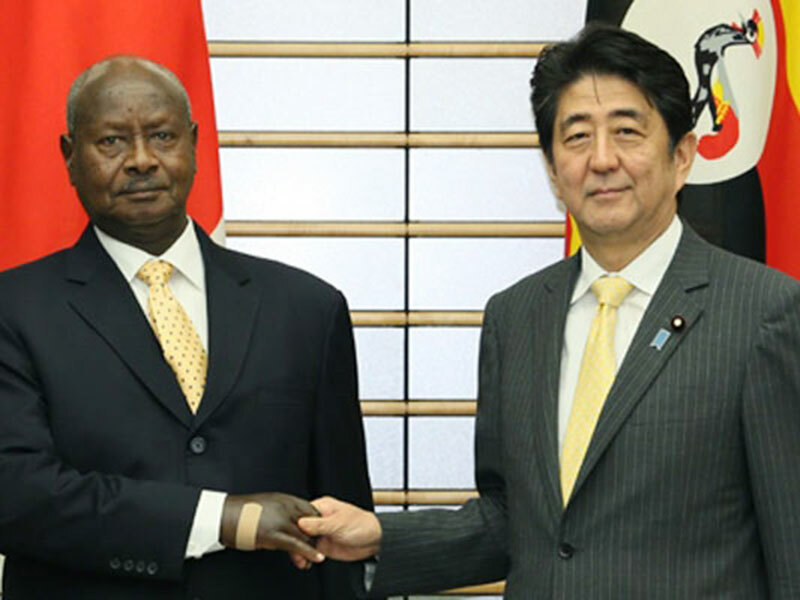 Museveni with a sick finger greets an official with his left hand. He said Ugandans need to look into ways of avoiding diseases such as drinking clean water, sleeping under treated mosquito nets, shun drinking alcohol, have good hygiene, good nutrition and avoid HIV, among others, which account as major causes of sickness in Uganda. Museveni said that 75 percent of Ugandans flock hospitals while suffering from preventable diseases, adding that people in most cases concentrate on treating diseases rather than preventing them. “By the time you go for treatment, that means your health is already compromised. A hospital is like a garage, that means ‘the car’ is already having problems and it can end up getting grounded there,” the president said. “Women have an assignment to increase our numbers so they have to go to hospital for antenatal and for delivery,” he said, adding that crowding in hospitals as a result of lack of pit-latrines, alcohol-related sicknesses or drinking dirty water must be avoided. “Ugandans would actually have a longer life span if we followed simple health rules,” Museveni said. Museveni came to power in 1986 following a five-year guerilla warfare that ended with the capture of Kampala. He has been the commander-in-chief then. 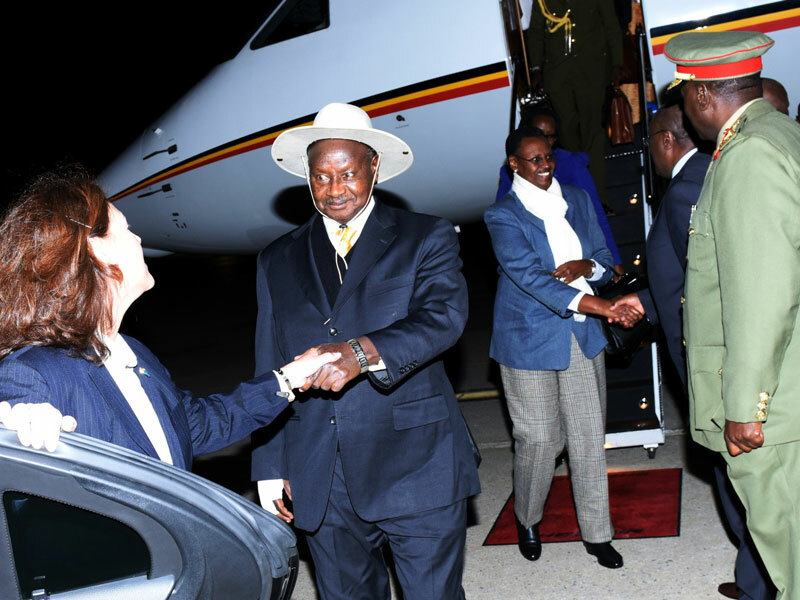 However, while most hospitals struggle with acute shortage of healthcare provisions such as drugs, Museveni and his family as well as cronies in government are known to seek specialised care in foreign hospitals. Although the president has no records of taking leave over the years, a blight on his small finger has over the years been one of the talks about his health.